CDS® Technologies Oil / Grit Separation - Rainwater Management Ltd. CDS® Technologies Oil / Grit Separation - Rainwater Management Ltd. 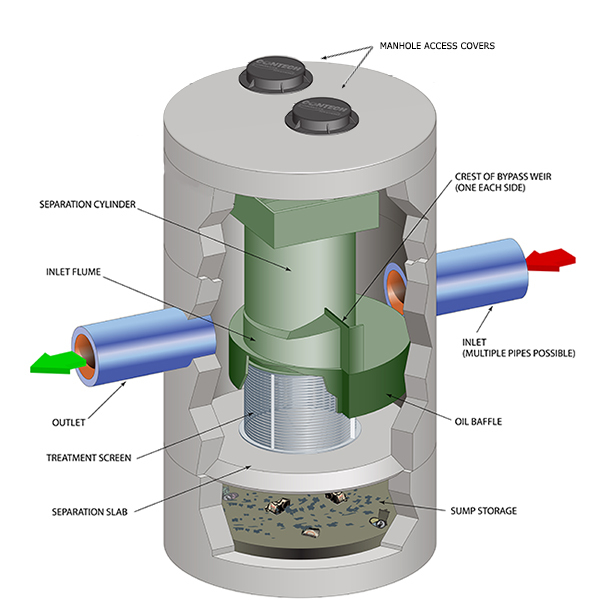 Continuous Deflective Separation Technology The patented continuous deflective separation technology (CDS® Technologies) effectively screens, separates and traps debris, sediment, plus oil and grease from storm water runoff. 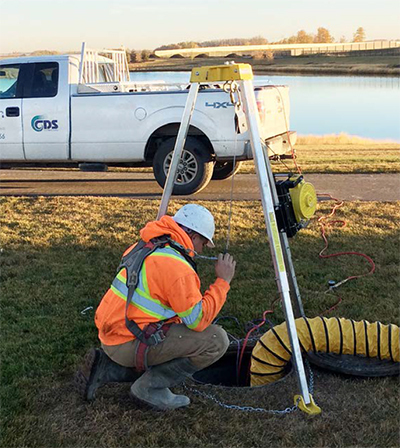 The CDS® system allows for indirect screening capability resulting in 100% removal of floatables and neutrally buoyant material, without blinding. The CDS® system is available in both inline and offline configurations. 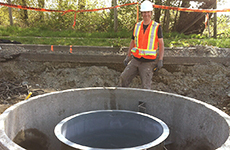 Rainwater Management manufactures and installs continuous deflective separation systems for water pollution control. This system is a superior and a cost effective technology. 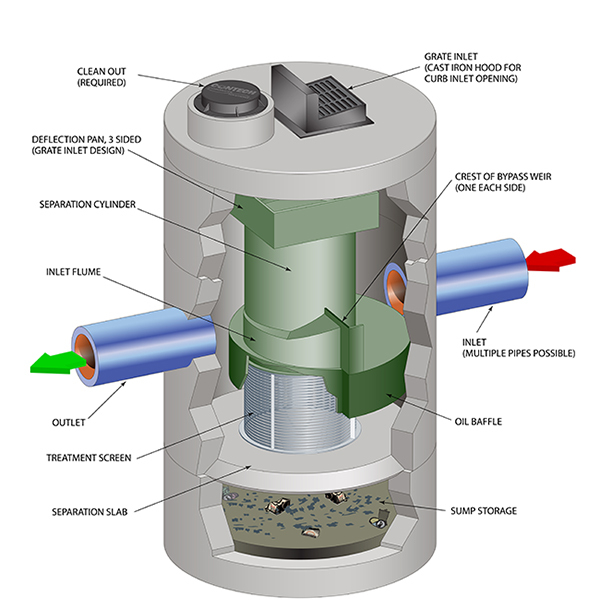 Used in storm water runoff systems, sewer and combined sewer overflows, and industrial processes, they will stop contamination from reaching receiving waters. 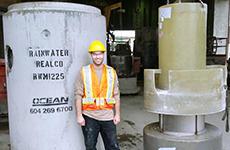 The concrete portions of our CDS® units are supplied by local pre-casters in the Vancouver area, Interior BC, Calgary, Edmonton and Saskatchewan. It look's like you don't have Adobe Flash Player installed. You will need to download it to view the content on this page. Intent – Limit disruption of natural hydrology by reducing impervious cover, increasing on-site infiltration, reducing or eliminating pollution from stormwater runoff and eliminating contaminants. Intent – Limit disruption and pollution of natural water flows by managing stormwater runoff. Intent – Further increase water efficiency within buildings to reduce the burden on municipal water supply and wastewater systems. Reduce by 30% (2 points), reduce by 35% (3 points) or reduce by 40% (4 points). Intent – Increase the demand for building products that incorporate recycled content materials. The sum of post-consumer recycled content plus one-half of the pre-consumer content constitutes at least 10% (1 point) or 20% (2 points), based on cost, of the total value of the materials in the project. Contact your local CONTECH representative for project specific information. Intent – Increase demand for building materials and products that are extracted and manufactured locally to a job site in hopes to reduce the environmental impact that would result from transporting these goods. 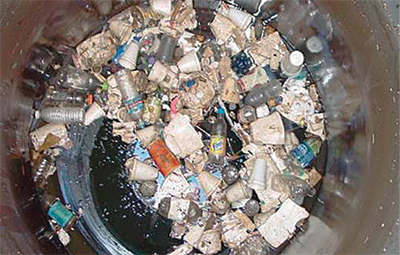 Products manufactured, extracted and recycled within 500 miles of the project site for a minimum of 10% (1 point) or 20% (2 points), based on cost of the total materials value. 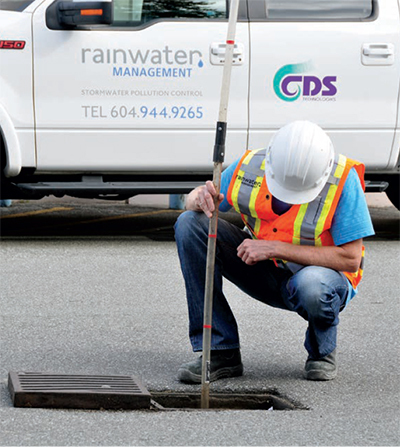 Graduated from UBC Civil Engineering in 1995 Established Rainwater Management in 2006. 5 years as the Stormceptor representative. Enjoys: Family time with my wife and 2 kids, playing hockey on a local Port Coquitlam old-timers team, spending time out on the water waterskiing / wakeboarding, mountain biking, snow skiing, and fishing. Graduated from BCIT Civil Engineering in 2006. 2 years as the Vortechnics representative. Enjoys: Family time with my wife and daughter, playing guitar, golf, snowboarding, mountain biking and spending time in beautiful Golden Ears Park (trails, beach, BBQ).